High strength steel is a complex base material: sheet thickness, hardness and other variables determine the elasticity to a large extent. This means that bending these steels is not an exact science, but an activity which can be carried out only by experienced people equipped with unique tools and skills. 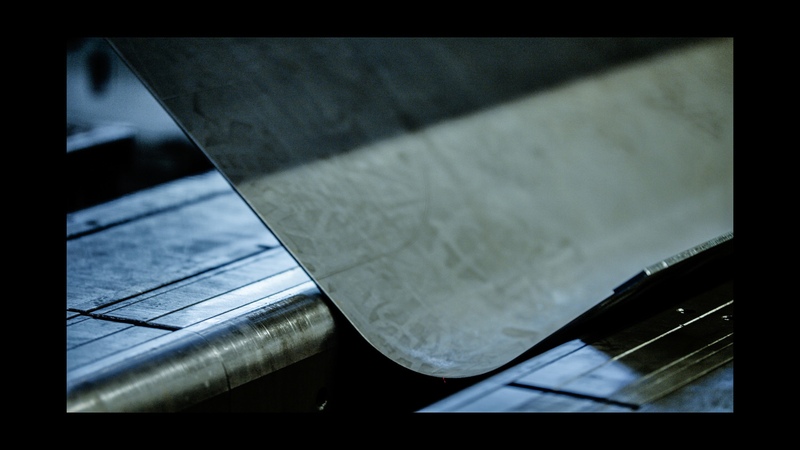 The high-precision bending of extremely large steel plates is one of Vlassenroot’s core competencies. 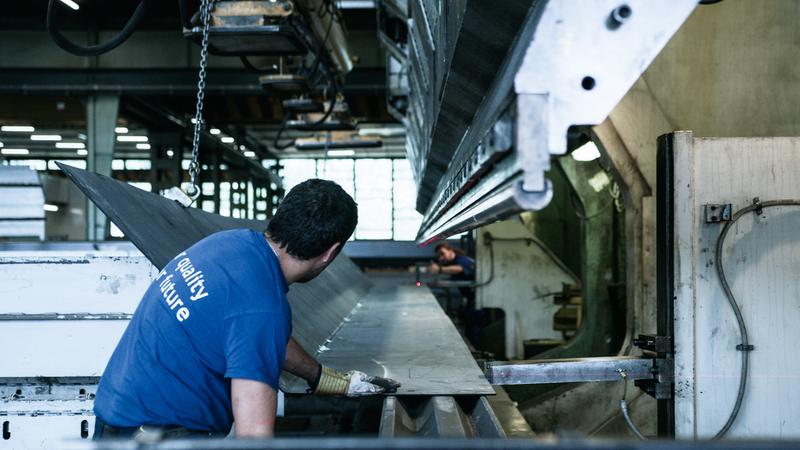 To be successful in its niche, Vlassenroot has skilled people and a large arsenal of bending machines of up to 24 meters and with forces up to 4,000 ton. What materials can we bend? Think long, thick and complex. Vlassenroot's 42 experts have an average 18,5 years of experience in bending all kinds of steel, challenge them. Vlassenroot has a unique installed capacity on its Belgian production site. The combination of its people’s know-how and its one of a kind machines, enables Vlassenroot to offer truly impressive solutions for its customer’s complex bending projects. 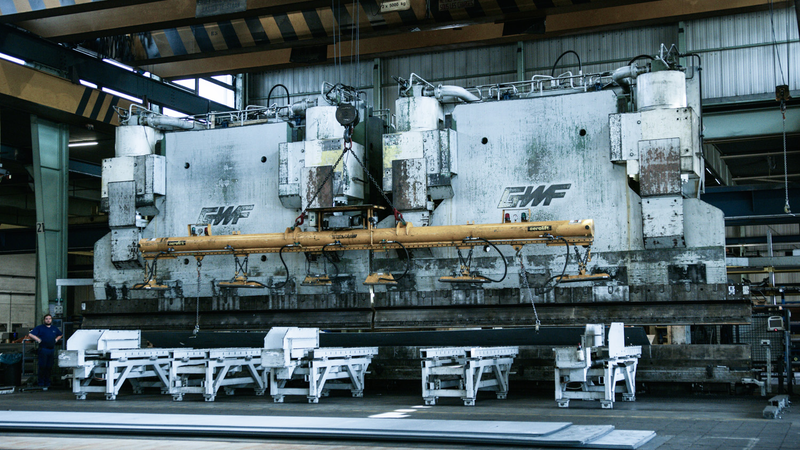 All of Vlassenroot’s press brakes are part of a standardised workflow. The tooling is easily interchangeable, which means that production can respond to its customer’s needs in a flexible and high-performance manner. Here again, a high level of quality is the standard. 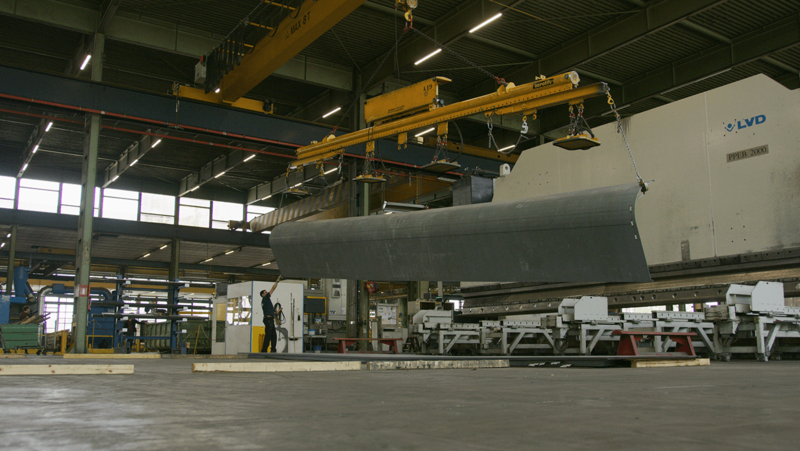 Every year, our people bend more than 30,000 profiles for crane booms in an uninterrupted and continuous process. Vlassenroot is DIN EN ISO 9001: 2015 certified in this regard.